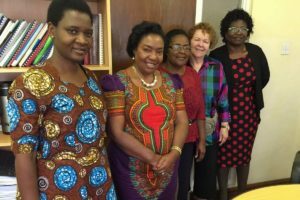 Our first week in Malawi has been very busy, and the Dean of Nursing, Kamuzu College of Nursing (KCN), Dr. Gertrude Mwalabu, Dr. Pammla Petrucka and I feel that we have exceeded our expectations and plan of work! Dean Gertrude and her husband kindly picked us up at the Lilongwe airport and saw that we were settled into our hotel accommodations. After a refreshing night’s sleep we had our first meeting with the Dean and other KCN formal and research leaders. We examined the four research pillars that KCN has identified: vulnerable populations; primary health care in Malawi; quality of care; and health reforms and innovations. Through kind and candid engagement, it was clear that KCN were seeking practical, sustainable assistance to build their research momentum. While some individuals and small groups had experienced success with individual grants and publications, all embraced the idea of working more effectively in research teams. In this spirit, we worked with 11 of KCN’s Research Champions all day Tuesday. As senior research mentors to junior faculty and students, the champions included those in formal leadership roles and senior faculty members. While our work together included basics related to grantsmanship and publication, we moved beyond these to discuss principles of working effectively in teams; research mentorship; and engagement with knowledge users and policy makers and the patients/clients, families and communities where KCN hoped to impact the quality of care. We also identified opportunities to engage community “traditional leaders” – respected traditional knowledge keepers who play an important role in the health of Malawi communities where 80% of the population lives in the rural area. Wednesday, the champions came together with junior faculty content experts. Using the grant format of the Saskatchewan Health Research Foundation, we worked together to develop the grant outline using one of KCNs areas of interest – the experience of care of women with obstetric fistulae. By the end of the day, the outline had been completed using two research questions that would permit the champions to divide their efforts and mentor two semi-separate research teams examining different aspects of the same population of interest – thus, taking advantage of the recruitment of one cohort of participants. Practicality, focus, efficiency, and sustainability were our mantra, as we recognized the need to use KCN’s precious research resources wisely! Next week we will be supporting the champions to offer a two-day research workshop to all of the KCN faculty, some graduate students, and community stakeholders. For the remainder of our first week we worked with Dean Gertrude to further develop her already impressive stakeholder network. We listened carefully for stakeholders’ health knowledge priorities, while seeking and affirming their willingness to engage with and support KCN’s developing scholarship. 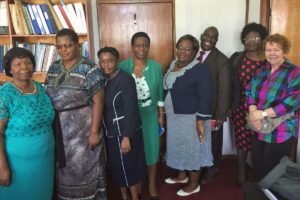 We met with the National Director of Nursing and Midwifery Services and her leadership team, the Registrar and CEO of the Nurses and Midwives Council of Malawi and her team, and the three Directors of National Commission for Science and Technology. All are willing to support KCN’s developing research programs and they confirmed the importance of KCN’s four research pillars and team-based research model. Indeed, some of these stakeholders will now be joining us for the two-day training workshop next week! Week one closed with a tour of the Lighthouse – a patient-centred, one-stop-service for individuals with HIV. With infrastructure support from Germany and operating funding from the Centres for Disease Control in the USA, this amazing facility has provided compassionate, quality care to this vulnerable population since 2001. This dedicated team of health professionals also provides corollary health services, so that almost all of the individual’s health needs can be met in the one location (the centre has adopted ‘one stop shop’ type of delivering health services). 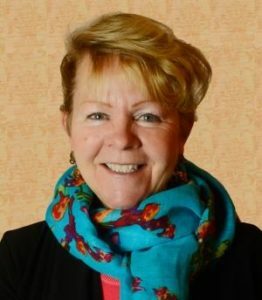 Martha E. (Beth) Horsburgh, RN, PhD has provided academic nursing and research leadership in three Canadian provinces. Her scholarship is typified by practical community and health system partnerships designed to tackle recurrent health challenges faced by patients, families and communities in Canada and around the world. 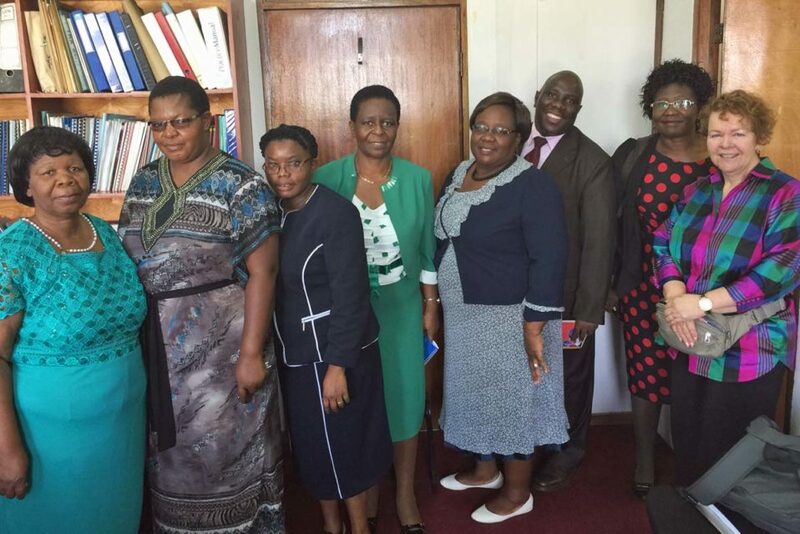 Joining the Academics Without Borders family of volunteers has enabled Beth and her colleague Dr. Pammla Petrucka, to work alongside the nursing faculty at Kamazu College of Nursing, University of Malawi, to address local health challenges through sustainable research partnerships.